27 June 2015: For those who don't know who this lady is, where have you been? 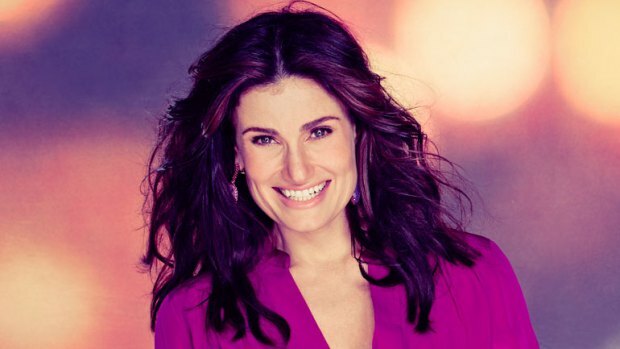 Idina Menzel is a Tony Award winning American actress and singer. She rose to prominence when she originated the role of Maureen Johnson in the Broadway musical Rent. In 2004, she won the Tony Award for Best Actress in a Musical for originating the role of Elphaba in the Broadway musical Wicked. She made her return to Broadway in the 2014 original musical If/Then, which earned her a nomination for the 2014 Tony Award for Best Actress in a Musical. She has also been honoured with the Breakthrough Artist award at the 2014 Billboard Women in Music awards ceremony. Idina is also known for her recurring role of Shelby Corcoran on the TV series Glee, and as the voice of Queen Elsa in Frozen. Holiday Wishes(2014), her first album in six years, reached number 6 on the Billboard 200 albums chart. Menzel is the only competitive Tony Award-winning actress to ever reach the top 10. So we are in for a good night of entertainment right? You bet! Opening with Defying Gravity from the musical Wicked, it was clear to see the stage was set for a masterclass in vocal ability. There is something about Idina's voice which is both mesmerising and flawless, Don't Rain on my Parade was quite apt really, I don't think anybody can rain on her parade. After a mash up of Love for Sale and Roxanne, the big band that were accompanying Idina rose to prominence with a medley of theatre hits - There's No Business Like Show Business / Anything Goes / Everything's Coming Up Roses. The band sounded very tight and it was wonderful to hear the big arrangements in the Arena. After a haunting version of Radiohead's Creep, Idina let rip with The Wizard and I, again from Wicked, and boy did the vocals leap out. Next up was Take Me or Leave Me from the musical Rent, and for this, Idina went amongst the audience and took three women up on stage to sing with her - and all three were bloomin' marvellous. A very well deserved standing ovation was welcome, and finishing off the set with an encore of Tomorrow from Annie just goes to show that Idina is at the top of her game. I salute you!